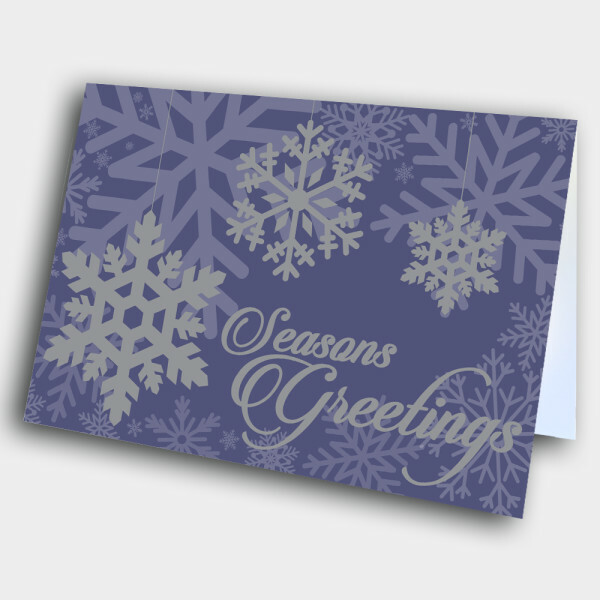 Share some meaningful holiday wishes with this classic, snowflake holiday card. 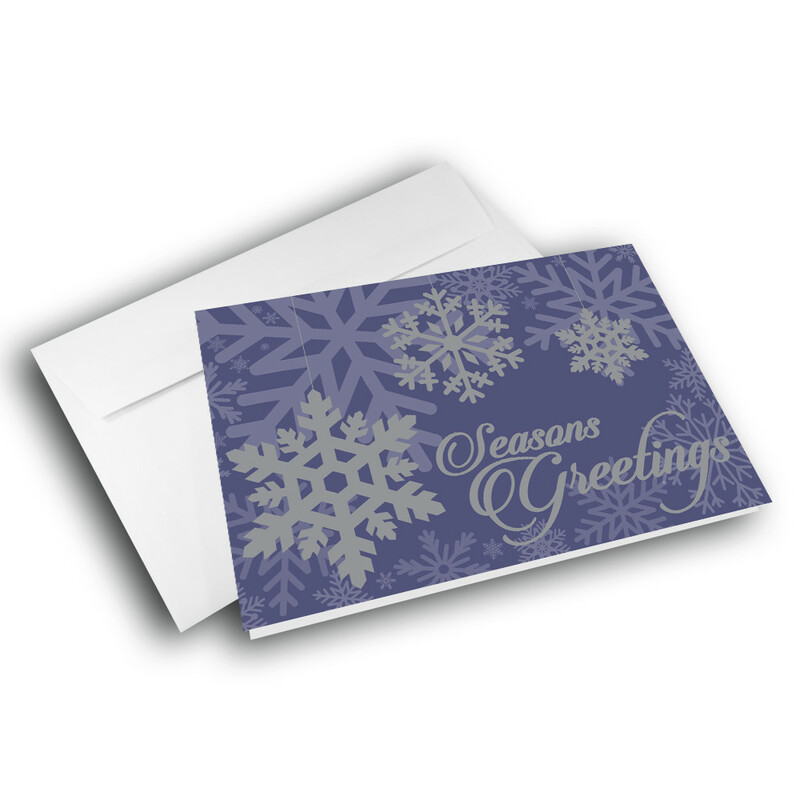 This classy holiday card makes the perfect business holiday card. 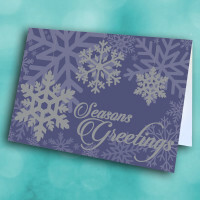 The deep-blue background of the front is adorned with detailed, intricate snowflakes. The season's greeting is elegantly penned in the bottom corner. 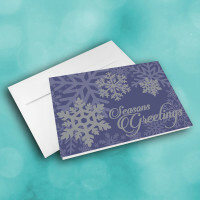 The inside is patterned with the same snowflakes, and displays the holiday classic message. 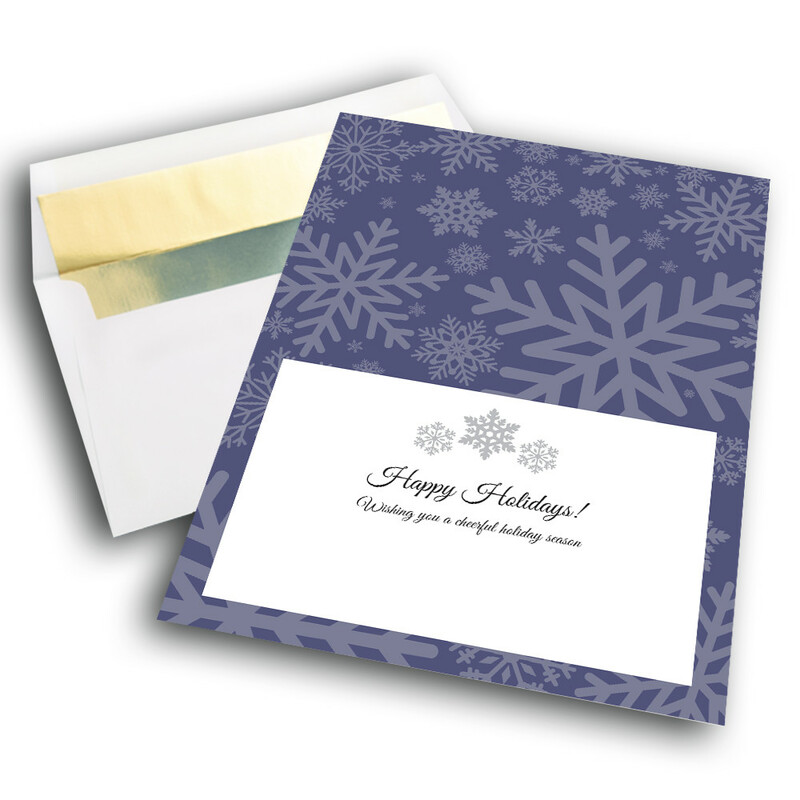 Personalize this message to make this custom holiday card truly unique.